We recall the media reports on the grant of bail to Mr. Nnamdi Kanu, the leader of the Indigenous People of Biafra by Justice Binta Nyako of the Federal High Court. It is trite law that the power to grant bail involves the exercise of judicial discretion and the criteria for the exercise has been streamlined by the decisions of Supreme Court of Nigeria in a plethora of cases [Suleiman & Anor v C.O.P. 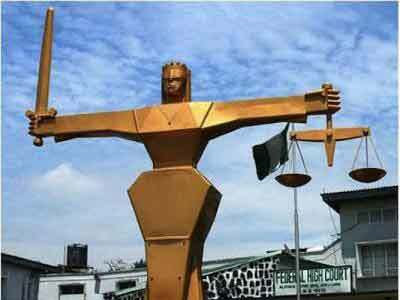 Plateau State (2008) 2-3 S.C.; Bamaiyi v The State (2001) 4 S.C. (Pt) 1 18; Dokubo Asari v Federal Republic of Nigeria (2007) 5-6 S.C 150]. While we admit that the exercise of discretion and the conditions attached to bail may vary from case to case, it must be situated within the context of constitutionalism, legality, the facts of the case and follow judicial precedent. Some of the conditions as reported in the media for the perfection of the bail includes that Mr. Kanu must not be in a crowd of more than ten persons and must not grant media interviews. He must provide three sureties in the sum of N100m each and the first surety must be a senior and highly placed Igbo person such as a senator; a highly respected and prominent Jewish leader and a third surety, being a highly respected person who owns landed property and is resident in Abuja. We note that these excessive and very stringent bail conditions have been held to amount to a denial of bail. The first condition that Mr. Kanu must not be in a crowd of more than ten persons is an impossible condition to fulfill. The implication is that he can no longer go to a church or a place of worship, market place, restaurant, etc. He will violate this condition if his immediate nuclear and extended families who will welcome him number more than ten. This will likely happen as he is stepping out of the prison yard. Pray, what purpose does this condition serve? Asking for a surety who is a senior and highly placed Igbo person such as a senator begs the question. Why must the surety be of Igbo ethnic nationality? Under what law or which section of the constitution did the judge derive the authorisation for this? When did the ethnic origin of an accused person or surety become relevant for the accused being admitted to bail? Thus, in the event Mr. Kanu finds Nigerians that are not of Igbo ethnic extraction as sureties, they would therefore not qualify. And if Mr. Kanu cannot get a senator to stand surety for him, he will not be allowed to go and attend to his health? How many senators, in these days of the anti-corruption drive will agree to post a bail bond for N100 million without making themselves vulnerable to being pulled over by the anti-corruption agencies? It therefore seems that in restricting one of the sureties to be a senator of Igbo ethnic nationality, Mr. Kanu has contrary to section 42 (1) (a) of the Constitution of the Federal Republic of Nigeria 1999 (as amended), been subjected in the practical application of the law to disabilities and restrictions to which citizens of Nigeria of other communities, ethnic groups and places of origin are not made subject to. There is no precedent for this aspect of the ruling. The condition that a prominent Jewish leader should be the second surety is very far-fetched. The fact that Mr. Kanu claimed that Judaism is his religion cannot be the justification for asking him to present a non Nigerian to stand as his surety. Thus, Mr. Kanu needs a person of Jewish nationality to free him to attend to his health! We are not convinced that this condition is permissible under our Constitution and laws. Imagine Mr. Kanu meets this demand and there is a default, how can the court get access to the surety if he travels back to his country? To ask Mr. Kanu not to address rallies or grant media interviews is an extreme measure which apparently serves no purpose. This is a violation of fundamental human rights entrenched in Chapter Four of the Constitution. Even while in detention, he has not been restricted from having contact with the media. The court was reported to have stated that the only reason why Mr. Kanu is being allowed to go on bail is because of ill health; why should the same court make it impossible for the bail to be enjoyed? It is therefore imperative that these conditions be varied or in the alternative, Mr. Kanu should be freed unconditionally to attend to his health. This will be in the overall interest of the criminal justice system and the reputation of Nigeria as a democratic society.